Today Google Home officially arrived in France. While we won’t know those Google Action numbers for a little while, we do know the total number of Google Actions available to UK users. The number is the same as it is for the US, at 468 in total. As Google Home continues to go global, having launched in both Canada and Australia earlier this summer, the total number of Alexa skills overseas has also continued to rise. Alexa skills in Germany saw their biggest increase this month since May, increasing from 1416 totals skill to 1806, an increase of 28%. The UK also saw an increase in Alexa skills growth from the previous month. In July, the total number of skills available was 6433, only increasing 3% from its June totals. This month that number has grown to 6947, a growth of 8%. While the total number of Alexa skills in these countries continues to exceed the total number of Google Actions, they still pale in comparison to the US totals. Yesterday, Voicebot reported there are now over 17,000 Alexa skills available to US users. That is more than twice the number of Germany and UK combined. But does quantity matter? Amazon’s strategy appears to be the more the merrier. 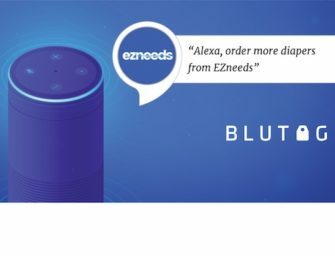 They offer the widest selection of smart speakers and have more voice apps than any other company. However, Amazon and Alexa do not have the global presence of Google Home. Home has also been first to market in Canada, Australia and now France. Amazon’s strategy has definitely paid off in the US, as it the clear leader when it comes to smart speaker market share. But they were also first to market. It will be interesting to see if Google Home can benefit from being first in other countries the same way Amazon has in the US. Only time will tell.